MIAMI Tropical Storm Sandy developed south of Jamaica on Monday, becoming the 18th named storm of a busy Atlantic season that has seen only two hurricanes make landfall. 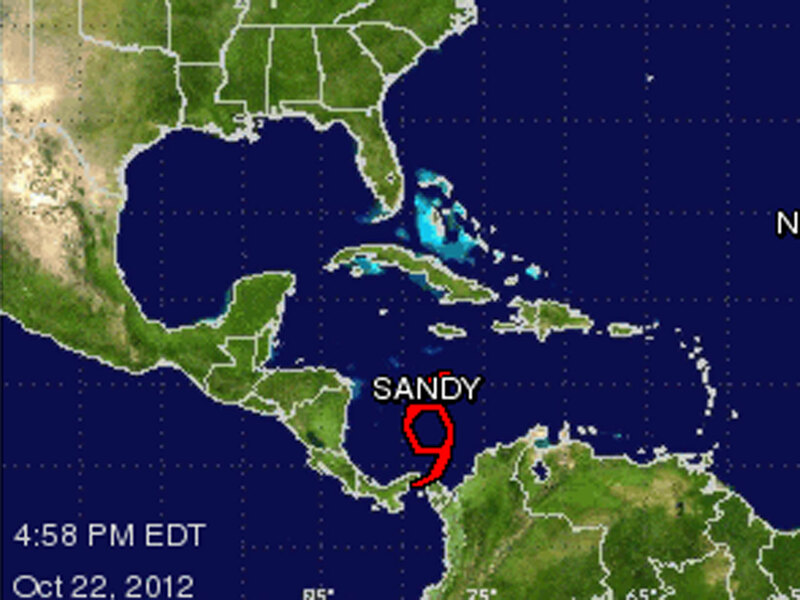 Sandy was about 395 miles south of Kingston, Jamaica and had winds of 40 mph, the National Hurricane Center in Miami said. It is expected to head toward Jamaica and be near or over the island Wednesday, perhaps with winds close to hurricane strength of 74 mph. Robbie Berg, a hurricane specialist at the NHC, said it is unclear why there have been an above average number of storms during the last few years. He pointed out that of this year's named storms, most were relatively weak and short-lived. Only one Atlantic storm reached Category 3 status -- Michael -- and it stayed well out to sea.